The Classified Ad Section is a free service provided to our members to help them sell their motorhome or other RV related items. Online classified ads on any website are always targets of scam artists who place false ads in an effort of relieving unsuspecting buyers or sellers of their money. There are a number of versions but the easiest way to identify them is that if it appears to be too good to be true, it most likely is a scam. Scammers generally operate incognito so you won't get a face to face with them. Responses are generally by email rather than over the phone. If you refuse to deal with anyone other than face to face you'll avoid 99% of all potential scams. Both sellers and buyers need to be aware of the various scam techniques out there to prevent becoming a victim of a scam. One common scam that affects a seller is a fake cashiers check. These are easy enough to forge in today's environment and banks will hold you liable weeks late should it bounce. The cashiers check is often larger than the sales price but the buyers says he trusts you and that you can send him the excess amount of the payment to him via a money transfer service. Once the cashiers check bounces the seller is out the extra cash that was refunded and the buyer never shows up. Often times a scammer that places a fake ad will suggest the use of a third party escrow site to hold the funds. the vast majority of these online sites are operated by scammers so these are to be avoided as well. Do a Google search on fake escrow sites for more information. A seller may ask for partial payment up front to hold the item for sale. In a legitimate transaction this could be considered good faith money but it's also a popular scam. The ad for the RV seems too good to be true. It's in great condition and has a super low price that you just can't beat. The scammer has actually pirated the ad text and photos from another website and slapped a low price on it to entice unsuspecting buyers. 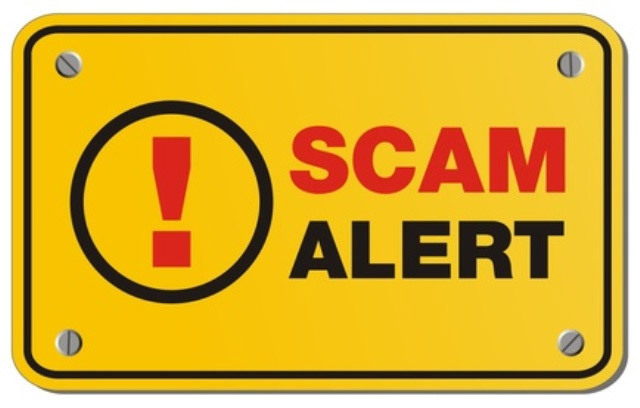 Once the buyer contacts the scammer they are told that there are a number of others interested in the RV and if you place a security deposit on it they will hold it for you. The name and address are fake of course and there is no RV but once they have your deposit they'll trash the account and email address and rest for the next sucker. There is a ton of information regarding PayPal scams. Unlike most people think, PayPal does not guarantee all of your transactions. Only those made via eBay purchases are covered. For more information check out This Link. If anyone asks for personal information, such as bank account information, social security number, PayPal information or other sensitive data do not give it to them. These are not necessary to facilitate a transaction, which can be done face to face once the buyer shows up to inspect the RV and finalize the purchase. Just a bit of common sense can go a long way towards preventing becoming a victim of a scam. While we try to check every ad posted for authenticity and eliminate any scam ads there is always the potential for a scam ad to slip through. Both buyers and sellers need to be aware. The two most important things to remember is that if the deal looks too good to be true, it probably is and not to do any large transactions unless face to face.